I remember a warm night in the summer, sitting out fishing in the pond. Now and then I could feel the vibrations along the line linking me with the life prowling about the bottom. At length I pulled some bass, squeaking and gasping into the air. It was an epistemological puzzle to feel a tug, and to be conscious at the same time of a part of me that, as it were, wasn’t a part of me, but scale and fin, circling the hook, slow to strike. Surely this is what Spinoza meant when he contended that consciousness can’t exist simply in space and time, and at the same time is aware of the interrelations of all parts of space and time. In order to have knowledge of a pout or a pickerel, I must have somehow been identical with them. How can this be, you ask? 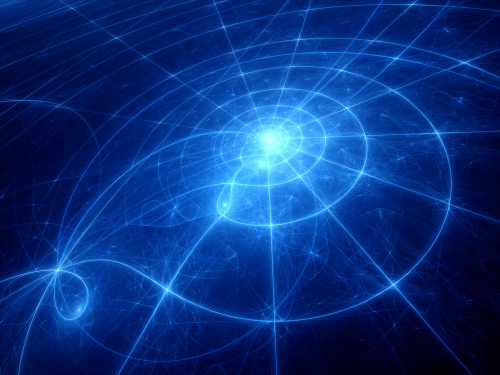 How is it managed, that for real experiments with electrons, that a single particle can be at two places at once? See the loon in the pond or the North Star? How deceptive is the space that separates them and makes them solitary. Aren’t they the subjects of the same reality that interested John Bell, the physicist who proposed the experiment that once and for all answered the question of whether what happens locally is affected by nonlocal events? Experiments from 1997 to 2007 have shown that this is indeed the case; in one recent study, entangled particles were sent zooming along optical fibers until they were seven miles apart. But whatever action they took, the communication between them happened instantaneously (faster than the speed of light). This is what Albert Einstein called “spooky action at a distance.” Today no one doubts the connectedness between bits of light or matter, or even entire clusters of atoms. They’re intimately linked in a manner suggesting there’s no space between them, and no time influencing their behavior. Everything you experience is a whirl of information occurring in your head; according to Biocentrism, space and time are simply the mind’s tools for putting it all together. However solid and real the walls of space and time have come to look, there is a part of us that is no more human than it is animal – even the fish, sporting there in the pond, a part of us unwittingly tempted by a bunch of worms strung on a thread. As parts of such a whole there is natural justice. The bird and the prey are one. This was the world that confronted me there by the pond that warm summer night. 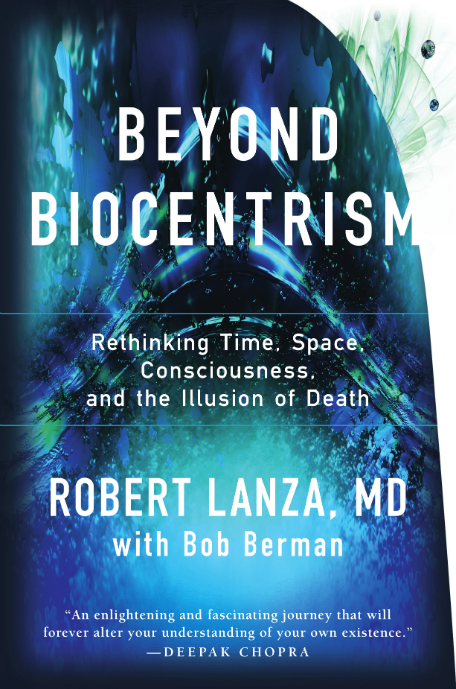 “Lanza and the modern anthropics,” a respondent once wrote, “like to imagine humans in the place of Berkeley’s God, using some smart quantum theory to bolster their opinions” (New Scientist, Feb 23, 1991). We’re sure we’re not connected to the fish in the pond, for they have scales and fin and we don’t have any. 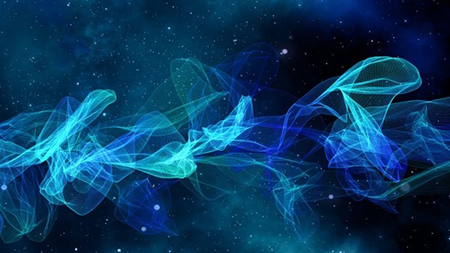 “Non-separability,” Bernard d’Espagnat said, “is now one of the most certain general concepts in physics.” There’s a part of us that’s connected to the fish in the pond. It’s the part that experiences consciousness, not in our external embodiments but in our inner being. We can only imagine and recollect things while in the body, for sensations and memories are molded into knowledge and thought in the brain. And although we identify ourselves with our thoughts and affections, it’s an essential feature of reality that we experience the world piece by piece, as, for instances, each of the fish that I caught that summer. We think there’s an enclosing wall, a circumference to us. We suppose ourselves to be a pond; and if there’s any consequence to our actions, if there’s any justice, it must approach upon these shores. Yet that night, I sensed the union that the one man and creature has with the other. The fish and I, the criminal and the victim, are one and the same. Justice is built into the fabric of nature. Make no mistake about it: it’ll be you who looks out the eyes of the victim or the recipient of kindness — whichever you choose. Nature’s justice is inescapable and absolute. This may not unsettle you, except perhaps on a warm moonlit night with a fish gasping for life at the end of your rod. I knew then, at that moment, that Pagel’s conclusion was right. Only it wasn’t my consciousness that was the only one, it was ours. According to biocentrism, our individual separateness is an illusion. Clearly, all life can be traced back to some single-celled organism in the early Archean sea. We’re all interrelated, part of single absolute being.